Looking for easy ideas to spruce up your bathroom? Give a plain white bathroom a quick and easy update with a painted accent wall. A painted accent wall is a great bathroom update that is inexpensive and that you can to do yourself. Our top tip is to choose a wall toward the back of your bathroom for your accent wall, even if it’s a small wall. Adding a color on one wall will make your bathroom appear bigger and create a beautiful focal point. For this bathroom, we chose the color Snorkel Blue (PANTONE 19-4049) to create an on-trend nautical look. Blue is a fantastic color for bathrooms because it evokes relaxation, vacation and days at the shore. We applied it to the wall behind a freestanding tub to create a perfect backdrop for a relaxing soak. Once your blue accent wall is complete, add some artwork and bathroom accessories. We chose accessories in a similar blue and a complementary seagrass green. A round mirror and wall mounted vanity in a natural wood finish completes the nautical look. 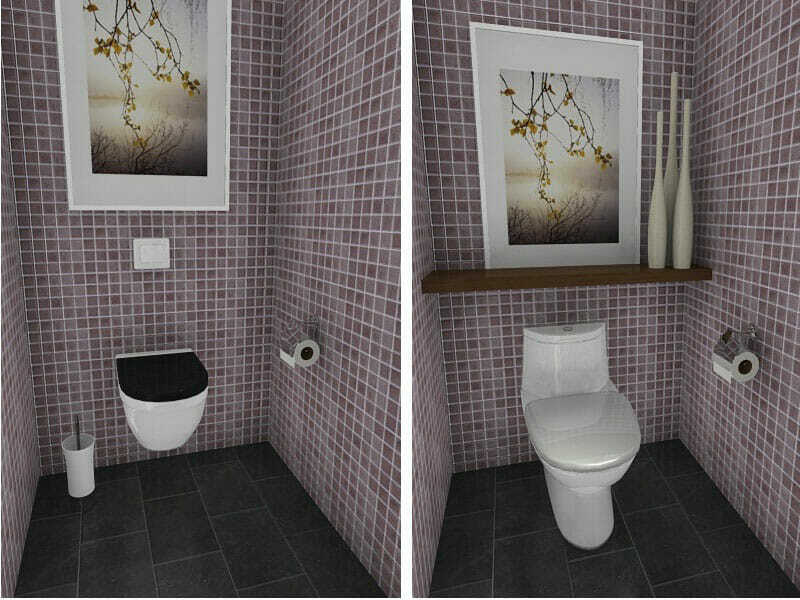 This bathroom design was created using RoomSketcher Home Designer. 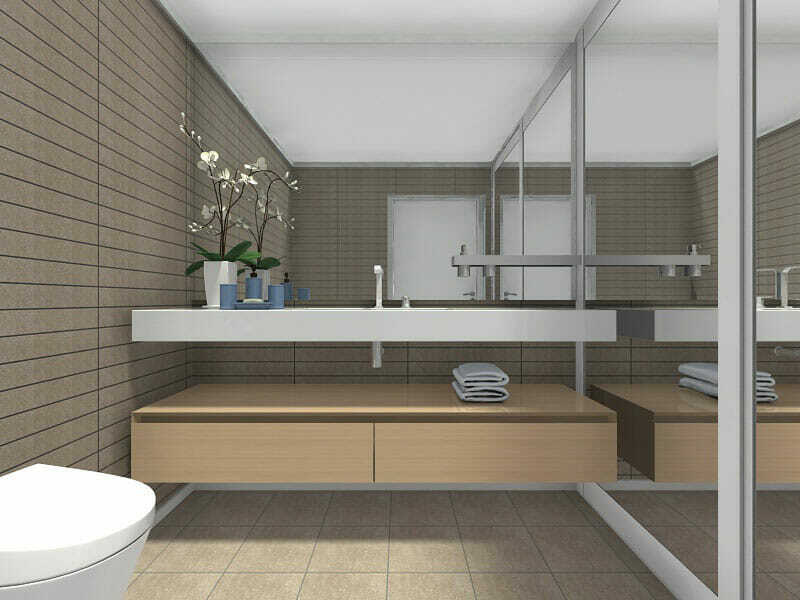 RoomSketcher Home Designer is a fantastic and easy-to-use floor plan and home design software that you can use to create your bathroom online. Simply draw your floor plan, furnish and decorate it, and see your design in 3D – it’s that easy! Frankie Elmquist is an interior architect and our Home Design, Specialist. She’s worked around the globe for some of the top design firms in the world, and now she brings her expertise to you.